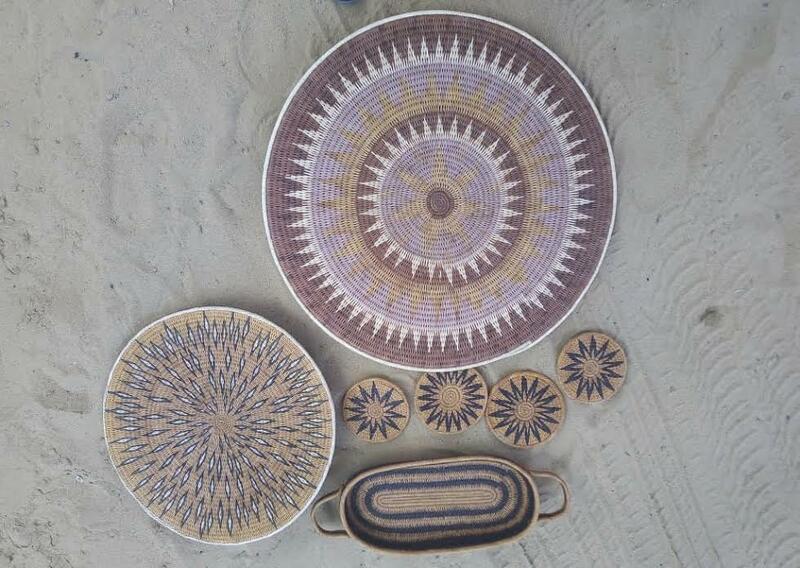 Home Fashions Designer, Daina Platais, recently traveled to Namibia to work alongside Artisan Accelerator participant, Ubuntu at Work, on a design fellowship that complemented fellow Alex Gagon’s production Fellowship. This integrative approach is a defining characteristic of the Nest Accelerator Program, which seeks to drive deeper and more sustainable impact for artisan small to medium sized enterprises (SMEs) with 360-degree programming mapped directly to needs identified by Nest’s onsite strategic growth assessments. 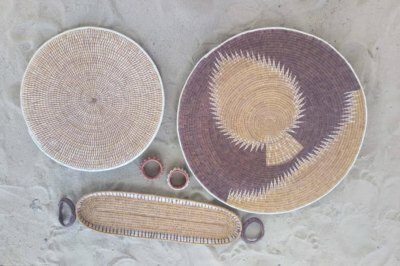 A long-time designer in the home fashion industry, Daina was interested in better understanding the basket weaving craft which makes use of natural materials and dyes, and unique patterns and textures. “The amount of time it takes to weave each basket was really an inspiration,” says Daina who found her appreciation for the time intensive qualities of handwork strengthened during her time with Ubuntu. A new line of baskets emerged from Daina Platais’ fellowship, helping to push Ubuntu’s design boundaries in a more modern direction.Nest supporters will have the rare opportunity to shop the new baskets before they hit the market, while also giving back to Nest with each purchase. Ubuntu’s new line of baskets designed during Daina’s fellowship will soon launch to shoppers everywhere, but first, Nest supporters get the first opportunity to shop the new baskets and give back. More details on this to come!